Partnership Confirmed: What Will The Western Sydney "City Deal" Deliver? A City Deal between the NSW government and Commonwealth is expected to create more than 100,000 jobs, but both leaders are yet to outline how the project will be rolled out. 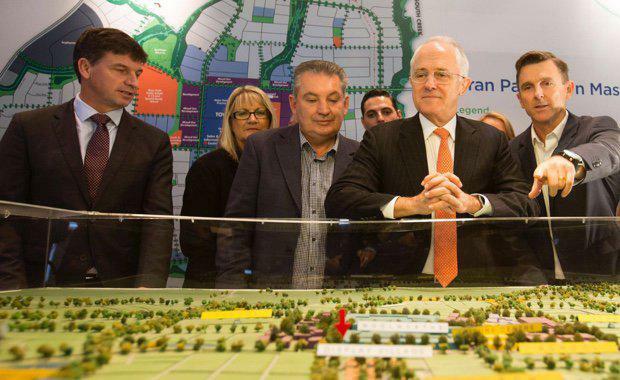 Prime Minister Malcolm Turnbull and NSW Premier Mike Baird on Friday 21 October signed a Memorandum of Understanding for a Western Sydney City Deal - which includes the Badgerys Creek airport, and more jobs and transport options. The City Deal is a first for New South Wales and marks the nation’s largest ever planning and investment partnership. The Memorandum of Understanding formalises the partnership between Prime Minister Turnbull and NSW Premier Baird to work together on City Deals in New South Wales. The Western Sydney City Deal provides a model for these future deals, and will drive a new economy in the emerging Western City that incorporates the areas immediately around the Western Sydney Airport, and the broader region. An expected 9,000 jobs will be created by the Western Sydney Airport by the early 2030s and a further 60,000 jobs in the coming decades. Through joint Commonwealth, State and local government investment, tens of thousands of jobs will be established in the surrounding region. These jobs will be in aviation related services, but also in sectors like security, education and training, catering, retail, warehousing, administration, communications and ICT. 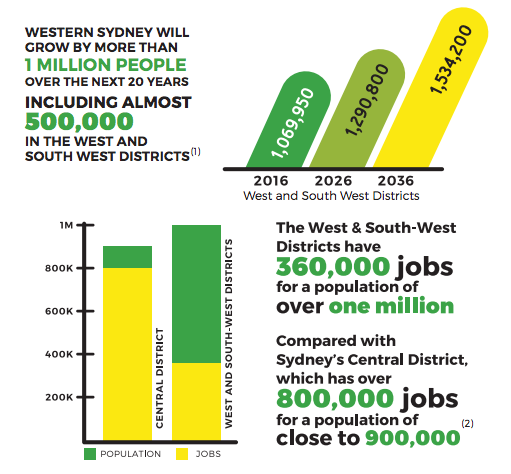 Rapid growth in health, education, and in logistics and advanced manufacturing in outer Western Sydney and southwest Sydney, offers great potential for new job precincts. Construction of the airport will generate $1.9 billion for the local economy, with a further $400 million across the rest of Sydney. deliver more jobs closer to homes and services, with a focus on youth and indigenous training and skills development. support clean air, green spaces, vibrant arts and cultural initiatives. Strong collaboration across governments, local councils, the private sector and local communities is essential to the success of City Deals, with the selection of future deals to be undertaken through a competitive process. 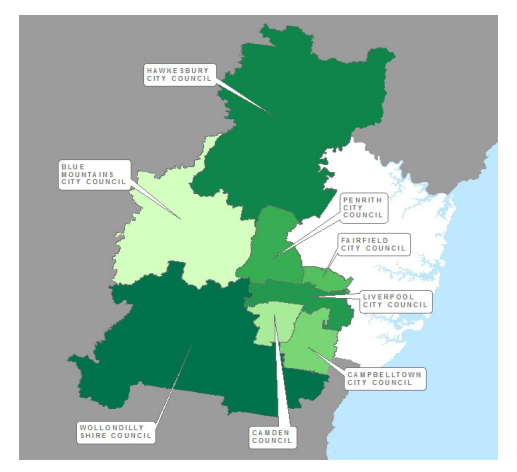 A mayoral roundtable will be held on the Western Sydney City Deal in coming weeks, to include representatives from all local governments in the west and southwestern districts of Western Sydney. 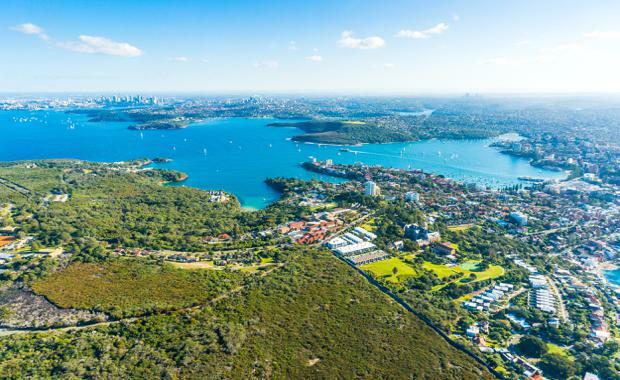 The Property Council of Australia today welcomed the commitment of the Federal and State Governments to the Western Sydney City Deal as the first to be delivered under a Memorandum of Understanding announced today. Property Council NSW Executive Director Jane Fitzgerald said today that City Deals provide the opportunity to lift productivity and drive strategic growth and create the 30 minute connected cities of the future. Aerial of Parramatta in Sydney's west. "Western Sydney has a booming population and huge private and public investment and a City Deal for the region will cement the opportunity to strategically drive further growth," Ms Fitzgerald said. 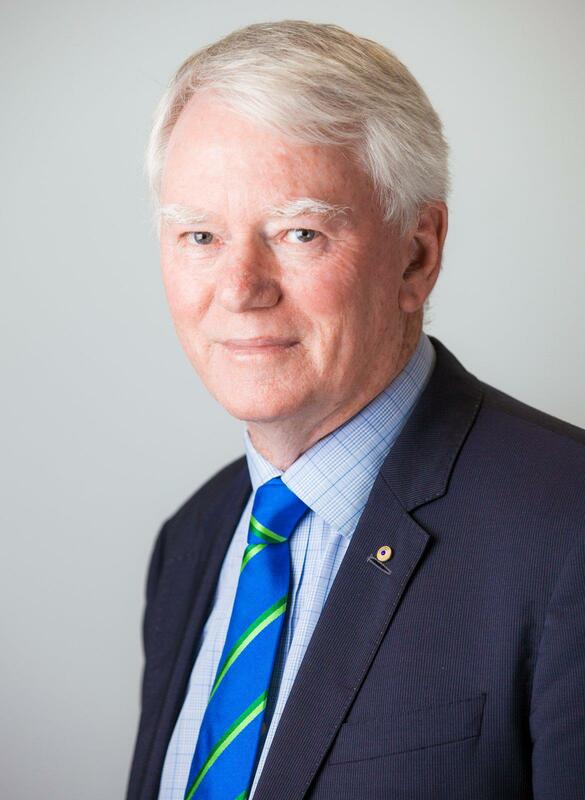 The City Deal announced by the Federal and State Governments for Western Sydney will be an excellent governance structure to drive growth in the region, The Urban Taskforce has said. Urban Taskforce CEO Chris Johnson“When the concept of a City Deal was announced by the Federal Government earlier in the year the Urban Taskforce called for the first City Deal to focus on Western Sydney and leverage the potential growth related to Badgerys Creek Airport,” says Urban Taskforce CEO Chris Johnson.